Aging is a natural part of life, but there are safe and simple techniques that can help you to achieve a more youthful appearance. Winnie King, MD Aesthetics and Wellness provides Botox ® and fillers that will restore your appearance and bring greater confidence out of you. Winnie King, MD Aesthetics and Wellness offers Brilliant Distrinctions program through Allergan. 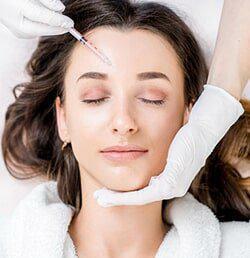 The cosmetic use for Botulinum Toxin A was first discovered in 1987. It was approved by the FDA in 2002 for use to temporarily improve the appearance of wrinkles in the face. This was the birth of Cosmetic Botox ®. It is actually a toxin but is very safe for use and can give dramatic results. Once you see how it improves your appearance you will quickly become a fan. Another form of Botulinum Toxin A is Dysport ™. This version works just as well as Botox ® and it simply comes down to personal preference. 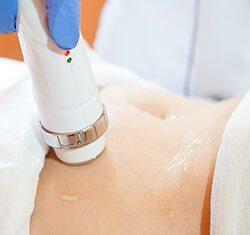 Most of our clients do not want skin anesthesia, but we will gladly provide it at no additional cost if you prefer. The fillers Juvederm and Restylane have given us a way to plump up and fill out what time has taken away. 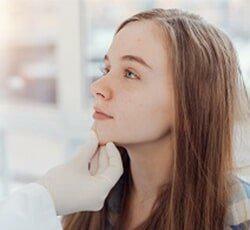 Whether it's your cheeks, your chin or your lips, these fillers can give you a more youthful look. Juvederm and Restylane are made by different companies but they are both a collection of hyaluronic acid dermal fillers that are injected just under to skin to fill out and flatten sunken areas such as the folds from your nose to your lip, your cheeks, dimpled chins, and thin lips. The effect lasts for 9 months to 1 year.